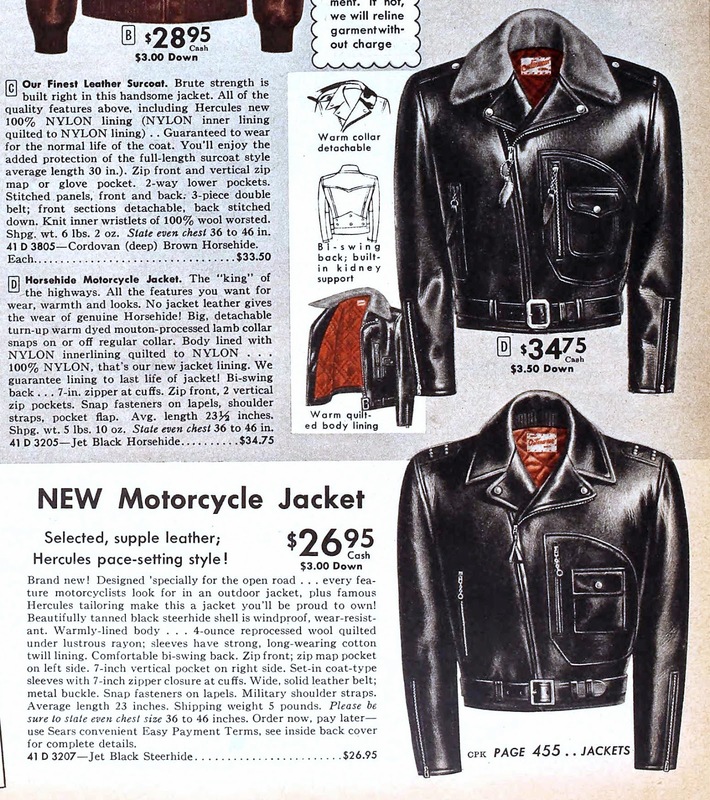 By this point, the horsehide version had been slightly simplified, losing the zipper breast pocket. 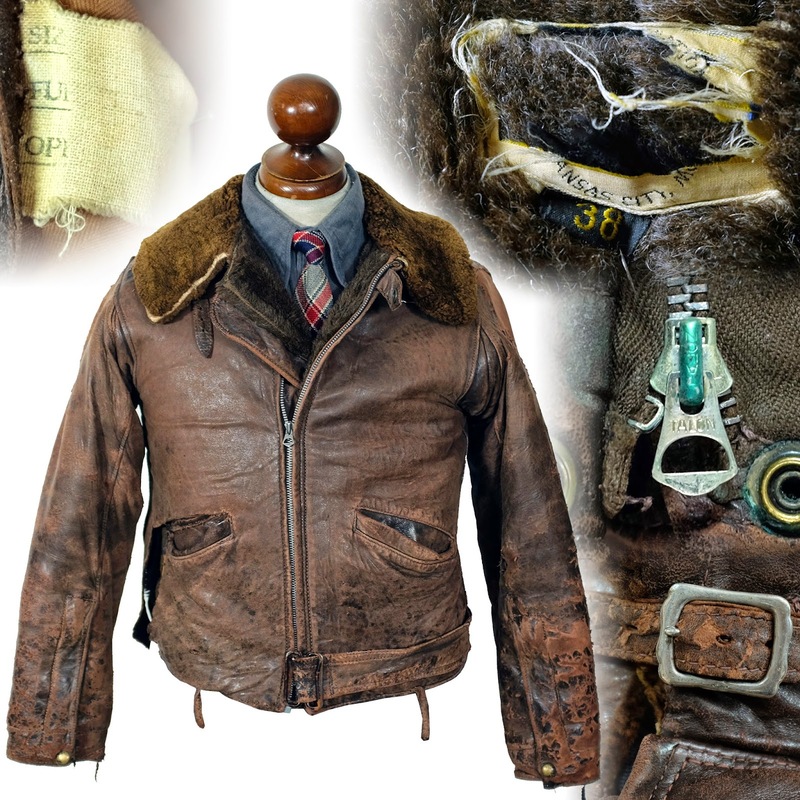 The cigarette pocket had round corners and a scalloped pocket flap. The plaid lining of earlier models changed to quilted red nylon. A less expensive steerhide model joined the horsehide one this year. Details were simplified throughout.